Each year, on the 5th of January, every municipality and town on the island of Lanzarote welcomes the arrival of the 3 Kings. There are parades organized in all the major resorts like Puerto del Carmen, Playa Blanca and Costa Teguise, as well as in the other major towns like Tias or Yaiza. The starting point will be the bus station in Playa Blanca, going towards Calle Jaime Quesada, Avenida Papagayo and finishing in Plaza de Nuestra Senora del Carmen. The event will end with music from different groups and other fun activities for kids. Los Reyes Magos will visit several towns and villages in the municipality of Teguise from 10:00 to 14:00. 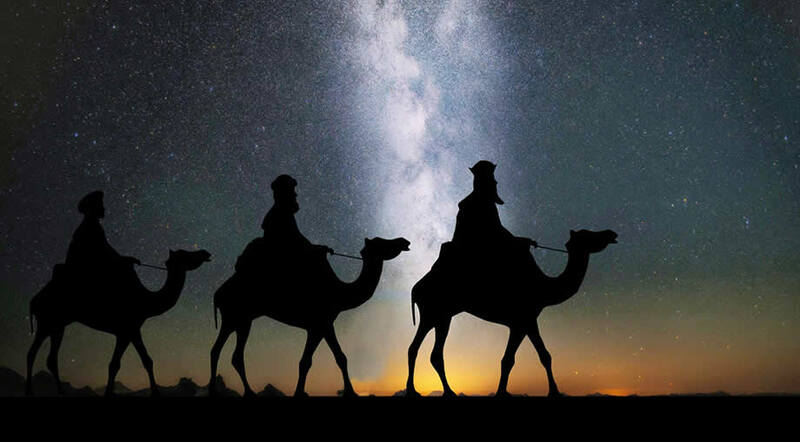 The Three Kings arrive in Costa Teguise at 14:00 at Centro Civico Costa Teguise. The Three Kings Parade starts at 19:00 in the historic center of Teguise, at the Molino next to the school. 11:30 - the island of La Graciosa will host its own parade in the morning, starting at 11:30. 19:30 - The parade will start from Calle Teide and will go towards Plaza de Varadero and then through Avenida de las Playa, up to Hotel San Antonio. The parade is leaving from Recinto Ferial and going towards the harbour, in front of Castillo San Gabriel. There, the mayor of Areciffe will offer Melchor, Gaspar and Baltasar the symbolic keys of the city. The parade will leave from IES San Bartolomé and will pass through Avenida Alcalde Antonio Cabrera Barrera and Rubicón. The stopping point of the parade is the Park Félix Rodríguez de la Fuente. The parde will start from the Avenida (Goliath area), passing through Avenida and the streets Cordel and San Borondón, ending in Plaza Santa Elena.